Home » GUITAR DEPT. » FX, tuners, radio..
With the AD-2 Acoustic Preamp, acoustic-electric guitarists can now experience natural, studio-quality sound while performing on any stage. Equipped with an advanced BOSS sound engine, this compact pedal packs sophisticated processing power that belies its small size and simple, intuitive interface. Acoustic Resonance reproduces the complex resonance characteristics of your unplugged tone, while Ambience provides pro-level reverberation perfectly optimised for acoustic guitar. 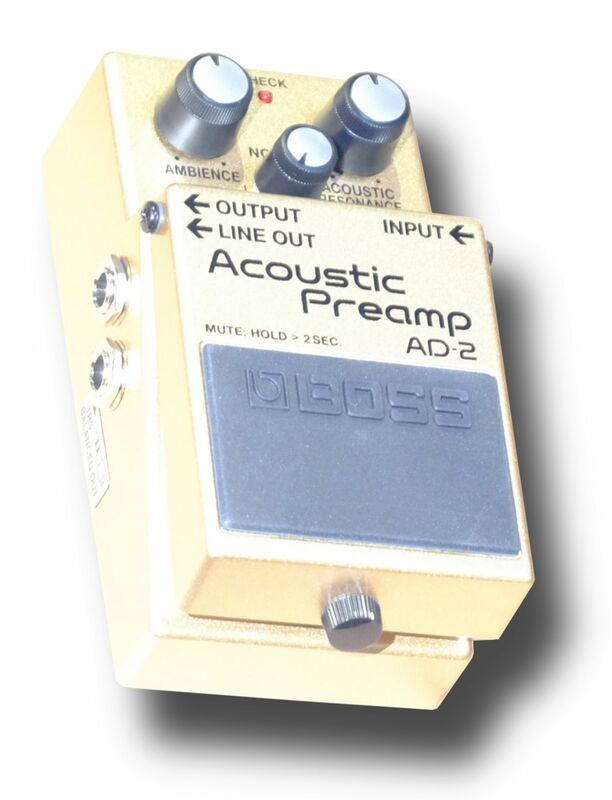 The AD-2 also features essential stage tools such as a notch filter for feedback control, a balanced DI out for direct connection to a PA, and a convenient mute function for tuning and switching guitars.